The archaeological collection of the Province of Lower Austria currently holds more than two million archaeological finds – most of them still unedicated to science. In addition, there are those new discoveries that come through the annual excavations to light. The material is stored in the depot of the Kulturfabrik Hainburg. Only a small fraction of the excavation objects can be presented to a wide circle of visitors in exhibitions. 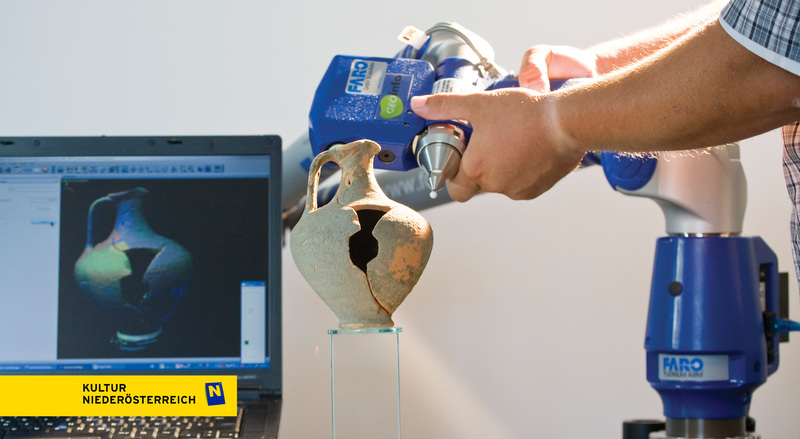 In cooperation with the Department of Art and Culture as well as the Department of Hydrology and Geoinformation of the Provincial Government of Lower Austria, the culture database was created and continuously supplemented with objects to present the objects to a wider public.